I visited my son, Greg, in Boston for five days. It was not my first visit and he and I were considering some of the sights we should see. Of the offerings we found we had already done the Freedom Trail, the "Pru" and the Common, so finding new things to experience was the challenge. Even shopping on Newbury Street and seeing the JFK Library had been accomplished in past visits, so we really had to dig deep! I arrived early in the afternoon on a somewhat on time flight and after getting rid of the car we loaded our T passes with money for riding and headed out! After a simple lunch of Pizza at Upper Crust on Harvard Street at Coolidge Corner we sauntered down to Serenade Chocolatier for some chocolate. Serenade is in Brookline Village and is known for hand made confections in the Viennese style. 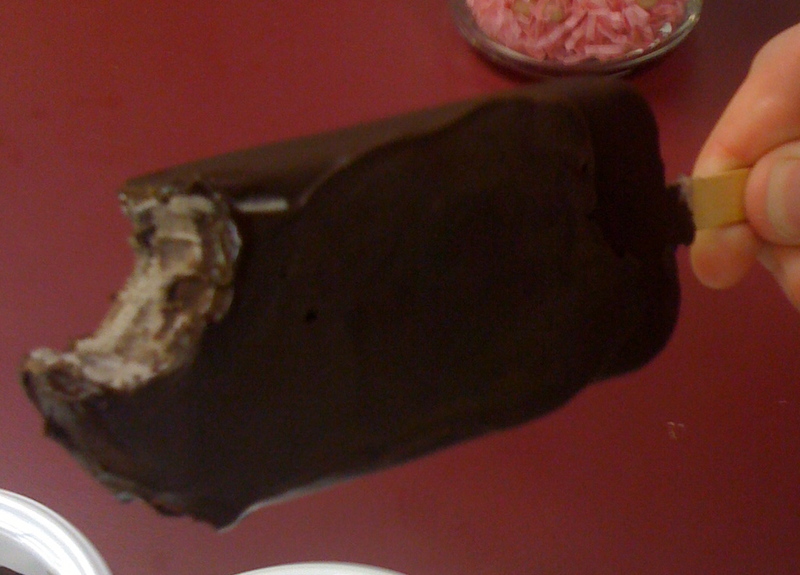 We went in for a "piece" of candy and were tempted by the idea of a chocolate dipped Oreo ice cream bar. It was explained that the ice cream was that of a local purveyor, JP Licks. Decadent is the only way to describe this treat. 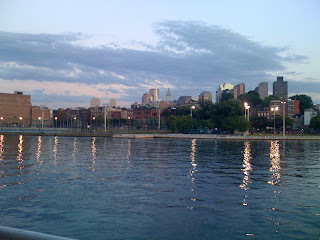 We then hopped on the T and went to the harbor area. 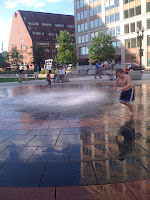 A walking tour included seeing Faneuil Hall and the somewhat new Rose Fitzgerald Kennedy Greenway Conservancy. 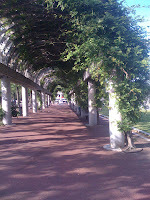 The Greenway, as it is known to the locals, is a mile long strip between the city and the harbor in the downtown area. 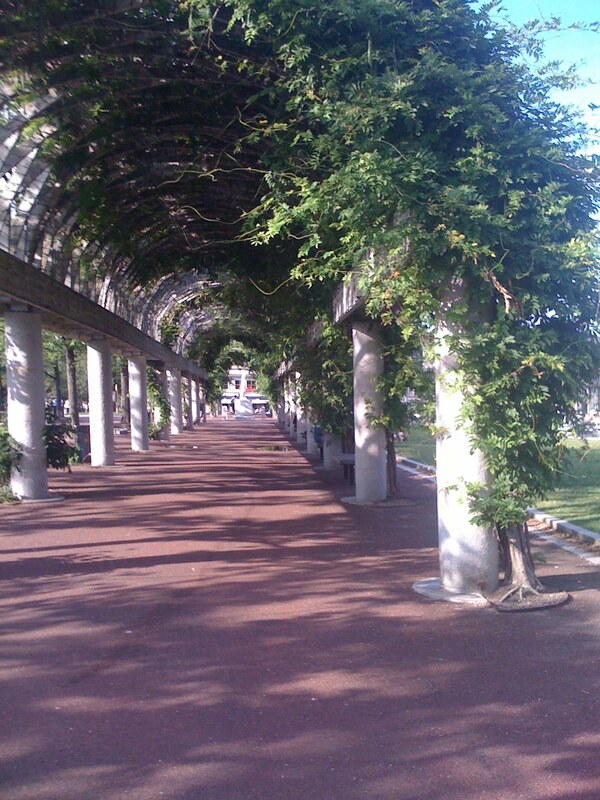 When the elevated highways of the area went underground in the Big Dig project, the area was renovated by the Conservancy. It is 15 acres in size and rambles for a mile. The goal of the the Greenway is to bring together the diverse neighborhoods of Boston with a public space to be enjoyed by all. There are festivals and parties throughout the year. 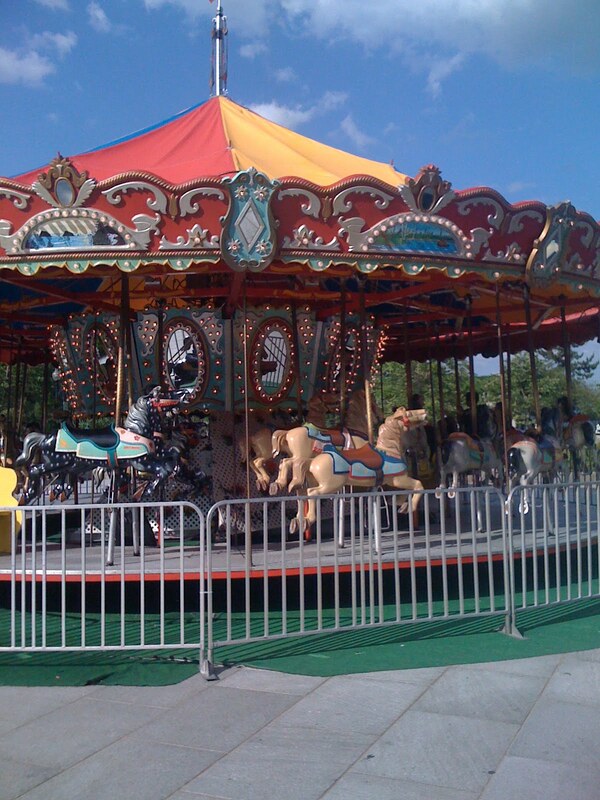 The landmarks include a carousel, a rose garden and a unique fountain where kids of all ages can take off their shoes and frolic in the Boston sunshine. 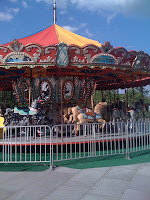 It was entertaining to watch the children play and enjoy the space. The highlight of the day was a sunset harbor cruise. 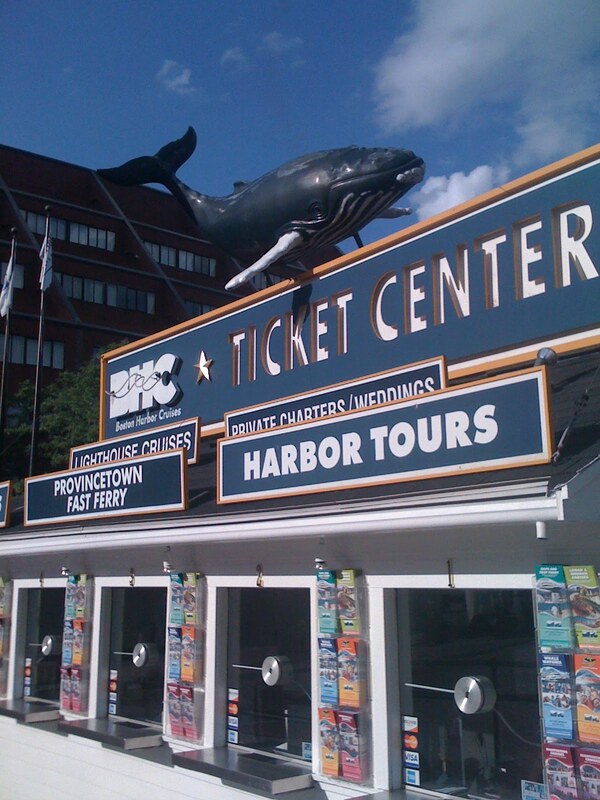 There are several companies that offer these adventures, but we selected Boston Harbor Cruises which operates from revamped Coast Guard vessels. The ninety minute excursion was narrated by a loquacious guide. 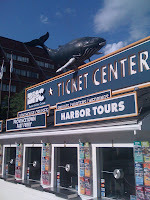 He pointed out the buildings of interest and told us several historical anecdotes about the harbor. 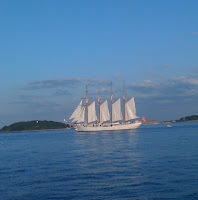 On this day there was a Spanish tall ship anchored in the harbor and we were able to get some great photos. 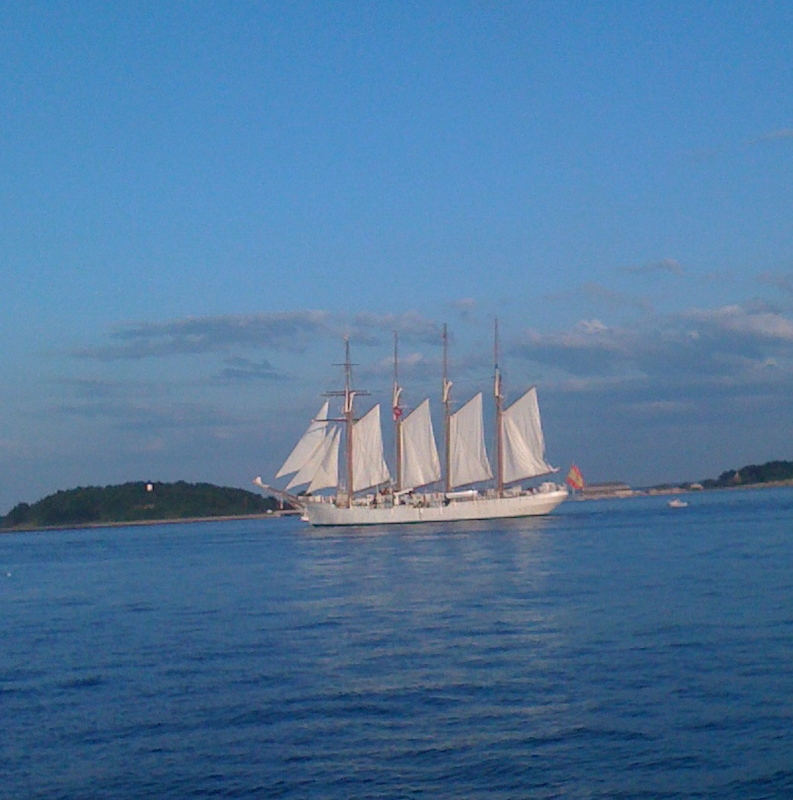 The tall ship is on a training maneuver and will be in the harbor for most of the summer. What a beautiful sight, indeed! Another exciting part of our cruise was watching and listening to the retirement of the colors on the USS Constitution that is docked in the harbor year round. Our vessel stopped close enough for us to hear the bugle and hear the commands. I was interested to know that every day at sunset on every US Naval vessel this same ceremony is observed. A cannon is fired and the display is spectacular! The sunset cruise left us hungry. There must be something about a cool breeze on the water that stimulates the appetite. We walked to Legal Seafoods where we shared a large stuffed, baked lobster. Side orders included the polenta and broccoli with cheese. A lovely bottle of wine complemented our meal. Good thing that we shared as we had a hard time consuming this gastronomic delicacy! I passed on the clam chowder but normally I like to order that, too! Legal Seafood has been serving fresh seafood in Boston since 1950. Fresh is the key word here. I try to get to Legals at least once when I visit. It was a day filled with new experiences, delicious food and excellent company. I always enjoy my time with my son. This is the first of several posts about my trip. I am sharing more of the photos here. Now I've got to get to Boston, and you've given me some great tips on where to go and what to see! I enjoyed this piece a lot!! !